In September 2015, the European Commission adopted an action plan setting out a list of over 30 actions and related measures to establish the building blocks of an integrated capital market in the EU by 2019. After the UK’s vote to leave the EU, the Union stepped up its efforts to create a more unified and cheaper capital market by the time Brexit happens. Discussions on the matter will take place this week during the ECOFIN meeting in Bucharest. The project was initially focused on reducing companies’ heavy reliance on bank loans for funding, but now has turned into a more pressing matter due to Brexit. 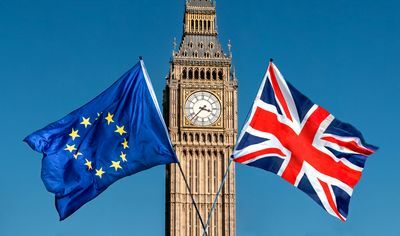 “By the time Brexit happens, the preconditions for a true single market for capital need to be in place,” European Commission Vice President Valdis Dombrovskis said in a news conference in March 2018. Many continental European companies and listed funds use banks and asset managers in London. The future relationship between its giant financial services industry and the EU remains unclear. According to Romania’s Finance Minister Eugen Teodorovici, the action plan approved by the European Commission to unify capital markets has not suffered any delays and will be finalized by the end of 2019. 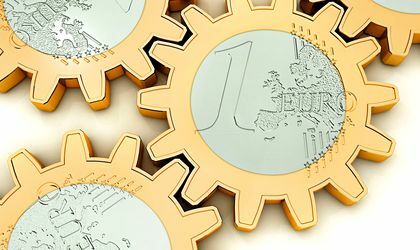 At the end of March 2019, the European Parliament and Member States reached a political agreement on the core elements of the reform of the European supervision in the areas of EU financial markets including the topic of anti-money laundering. “This is an important step towards our goal to have not only a Single Rulebook, but also a consistent supervisory approach across the EU. European Supervisory Authorities play a key role in achieving convergence of supervisory outcomes to ensure a level playing field for financial institutions and investors in the EU. This is a precondition for a fully-fledged Capital Markets Union. The new rules will also confer new powers to the European Banking Authority in anti-money laundering supervision of the financial sector to prevent cases like the recent scandals on money laundering from happening again”, Commission Vice-President Valdis Dombrovskis stated in a press release. The capital markets union aims to provide new sources of funding for businesses, especially for small and medium-sized enterprises, reduce the cost of raising capital, increase options for savers across the EU, facilitate cross-border investing and attract more foreign investment into the EU, support long-term projects, make the EU’s financial system more stable, resilient and competitive, according to the Commission. To achieve these goals, the European Commission has proposed an action plan containing a number of steps to gradually build the capital markets union, to be completed by 2019. Most of the actions are focused on shifting financial intermediation towards capital markets and breaking down barriers that are blocking cross-border investments. The action plan includes a range of tools, from EU legal acts to support for initiatives led by the industry. The project supports and complements the Investment plan for Europe initiative, which is designed to boost investment in the EU. The covered bond market, where debt is issued on the back of a ringfenced pool of high quality home loans and public debt, is fragmented along national lines. The EU proposals set out a common definition for covered bonds and their features, spell out who supervises them, and introduce rules for a European covered bond “label” to reassure investors. Brussels says the proposed measures to cut national barriers to funds distribution should save up to 440 million euros annually in costs for existing cross-border distribution.